Donna A. O'Connor is senior counsel in the Health Care Practice Group, resident in the Bloomfield Hills office. 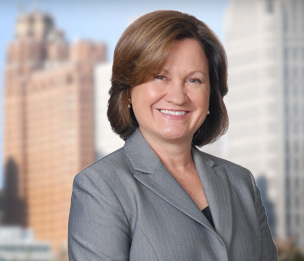 Ms. O'Connor represents health care clients with broad expertise in health system operations, compliance programs and investigations, state and federal health care regulatory law, physician compensation and contracting, complex transactions, anti-kickback and Stark law, mergers, acquisitions and joint ventures. Ms. O'Connor brings to the practice of law fifteen years of experience as in-house counsel and as a compliance officer for nonprofit and profit hospital systems, including as Senior Vice President, Assistant General Counsel and Assistant Secretary for a nonprofit health system and as Vice President and Regional Compliance Officer for a publicly traded health care company. In those capacities, she was responsible for hospital legal operations and compliance program integration following acquisitions by profit health care companies. Ms. O’Connor holds a certificate of healthcare compliance (CHC). Physician and Referral Source Contracting. Contract management and fair market value / commercial reasonableness processes, risk tolerance evaluations, contract drafting. Stark and Physician Self-Referral Issues. Structure routine and complex transactions to comply with state and federal self-referral laws, self-referral compliance evaluations. Health Care Regulatory, Certification and Accreditation Issues. Practical solutions to health care regulatory, certification and accreditation issues impacting hospital and health system operations. Joint Ventures and Acquisitions. Hospital affiliations with nursing homes, ASCs, home care and other specialty providers, due diligence and post-acquisition integration of legal and compliance functions. Compliance Program Development. Evaluate and structure compliance programs to effectively identify and address risks, increase board engagement and demonstrate organizational commitment to compliance. Compliance Investigations. Evaluate investigation processes and conduct compliance investigations, including, patient care, quality, disruptive behavior, payment, privacy and security, self-referral and conflict of interest investigations. "Executive Summary: Payment Changes in Off-Campus Outpatient Provider-Based Departments"
"Health Care Law After the Patient Protection and Affordable Care Act"
Health Care Providers, Plans, and Insurers: Are You Ready for New Civil Rights Obligations? State Bar of Michigan, Health Care Law Section Council Member 2008-present; Publications Chair 2009-2011. Health Care Compliance Association, Member. American Health Lawyers Association, Member.